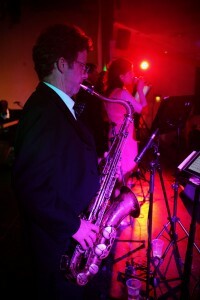 It was great to see so many enjoying the ball on Saturday. We’d been working hard to ensure the feel of the venue and preparations created a good atmosphere, but it makes it so worthwhile seeing everyone enjoying themselves. Normally when you hire an enormous venue, like the fabulous Pavilion in Bath, it looks a little different by day than when you see it at the ball. A huge amount of preparation goes into bringing an enjoyable atmosphere to the venue and we’ve invested so much time and money into what you see here. Our wonderful live band “Quickstep” seem to be getting used to us and had added yet more variety to their great line up of modern and classic dance music. The players did say to us how much they’d enjoyed playing for such good dancing again and are already looking forward to May! 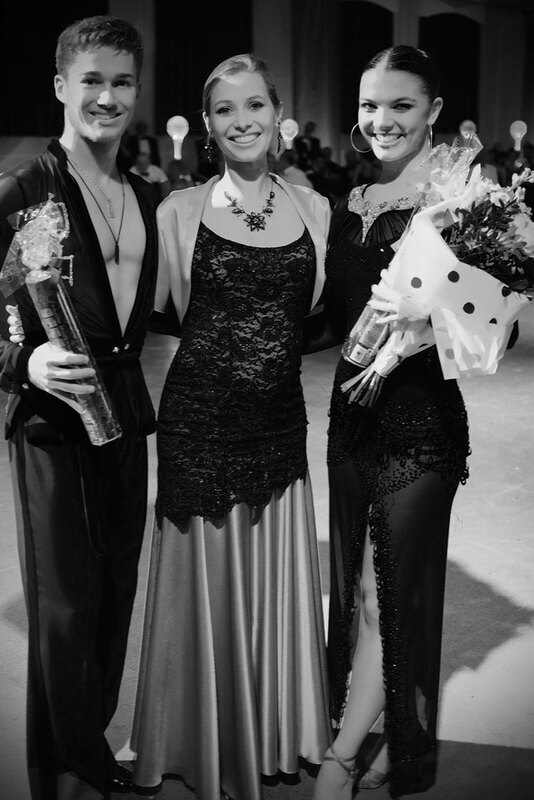 This time our cabaret was danced by AJ & Chloe, Britain’s very own youth champions and a lovely couple too. 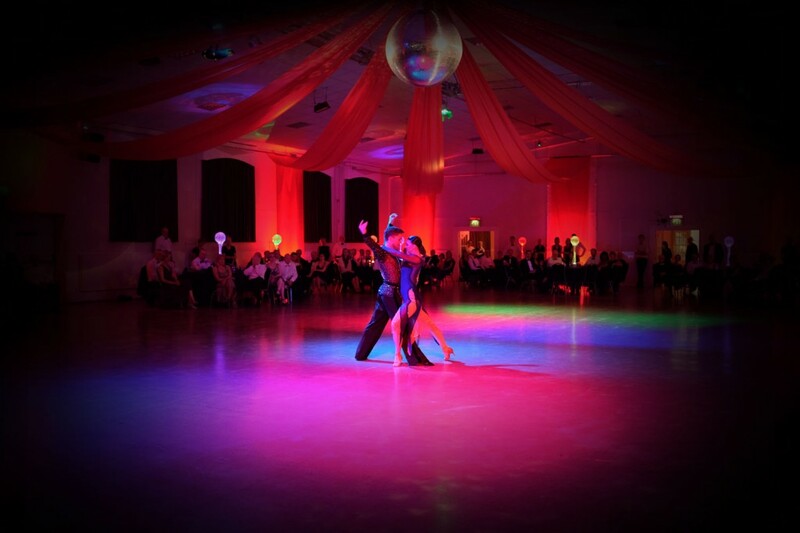 Our big venue is an intimidating place to perform but we thought AJ & Chloe danced a great show and it was terrific to have the chance to interact with them for a while. AJ & Chloe danced superbly under that famous mirror ball. At 18 and 19 years old, you might just have seen the future worlds champions in the making. Of course, AJ & Chloe didn’t dance the whole night long like the rest of us! It was great to see so many enjoying their dancing – that is what all those lessons are for after all. Some even looked full of beans at midnight, so well done to everyone for making it such a wonderful atmosphere. 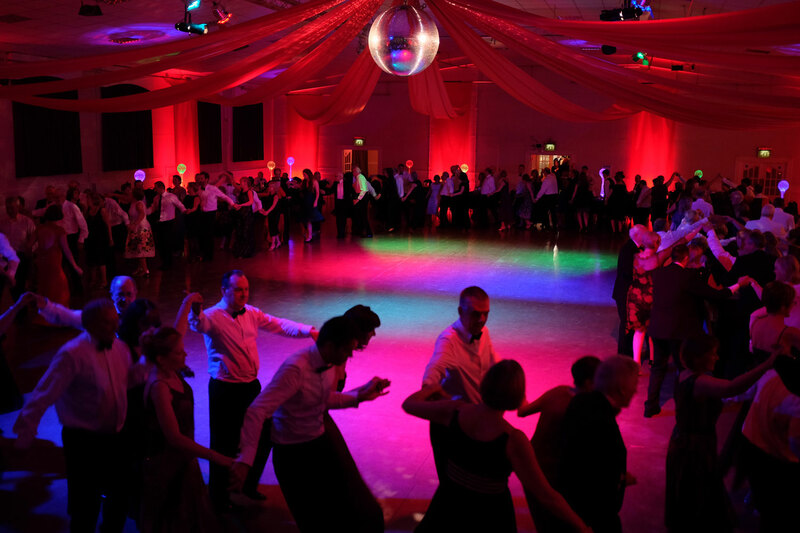 Speaking of world champions, our next big Ball is during the Bath Weekender, on 30th May 2015. Once again we have pulled a rabbit from the hat and managed to arrange a very, very special cabaret by the world professional Latin champions, Michael Malitowski & Joanna Leunis. 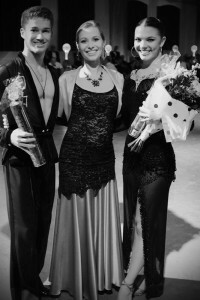 Michael & Joanna will have just danced the previous evening to defend their 7 Blackpool titles and attempt a record 8th title. This will be a unique occasion so make a note in the diary, tickets will be on sale in January. If you would like more information, click here http://www.vivaladance.co.uk/bathballroomweekend. This entry was posted in Dance Events and tagged AJ & Chloe, Autumn, Ball, ballroom, bath, James, Joanna, latin, Viva La dance by vivaladance. Bookmark the permalink.